Are you looking for deals on cloth diapers? 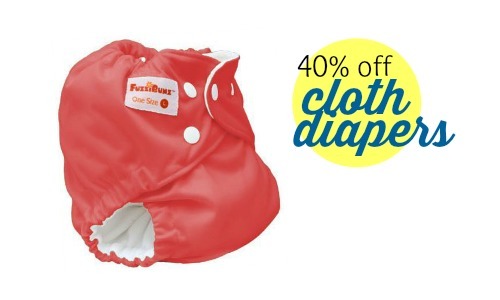 FuzziBunz is currently offering their Spring Sale where you can get select diapers at 40% off! The diapers start at $10.75 (they’re regularly $17.95 to $19.95) and there are several different colors to choose from. You can also use the code SHIPFREE to get FREE shipping! This deal is valid through 5/3 or while supplies last.